Luxembourg-based Lombard International Assurance has been around for 25 years, during which time it mostly went quietly about its business as a provider of life assurance-based, wealth preservation strategies for high-net-worth – and increasingly, as time went on, ultra-high-net-worth – individuals. The man from the Pru and the Scottish Widow may have been better known to more people in Europe, but for more than two decades, that didn’t seem to matter to Lombard International’s managers. “Lombard International Assurance is one of the least understood product providers in the market,” one insurance industry consultant wrote in 2009, noting that its “unique, ‘privatbancassurance concept’” was unlike anything any of its major life industry rivals were offering – apart from a few that had attempted to copy it, and failed. How things have changed, in the 20 months since it was bought by the US private equity firm Blackstone, in October 2014. Blackstone, which was founded in 1985 and today has more than US$336bn under management, bought Lombard International from Friends Life, which in turn had bought it from its founders almost exactly 10 years earlier. And now, in the way that private equity companies do, Blackstone is setting about transforming the unique but relatively small business, by international life insurance standards, into a global name, through a combination of organic growth and acquisition. The first thing Blackstone did was to integrate Lombard International Assurance’s business in 2015 with that of a US-based insurance company, Philadelphia Financial, that it had bought the previous year. The next step was to begin launching the new global brand, and establishing bases in key markets, which it has been doing on an almost monthly basis since the beginning of 2016. Currently Lombard International’s global assets under management total some US$75bn, and staff numbers are said to exceed 500, but at the rate it is expanding, these are unlikely to stay at those levels for long. Last month, for example, the company opened an office in New York – where, as it happens, Blackstone is based – giving it a presence in one of the US markets with the highest concentrations of HNWIs and UHNWIs, the types of clients for which, as mentioned earlier, Lombard International’s products are designed. A plan to open a branch in Brussels, subject to regulatory approval, was announced in February, and in January, the company announced plans to open offices in Hong Kong and Singapore, two other cities well known for their concentrations of affluent residents. UK- and Germany-based expatriate Americans, meanwhile, were among the main target clients of a new product Lombard International unveiled in March. That same month, John Hillman, the company’s executive chairman, made reference to the common denominator in the various global markets Lombard International was expanding into, when he unveiled the company’s 2015 results. “It is important that we place Lombard International into key financial markets, positioning the firm as a leader in wealth structuring solutions with a global footprint,” Hillman, pictured above, said. Jurgen Vanhoenacker, (pictured below), who is in charge of sales, marketing and wealth structuring solutions for the Luxembourg part of the business – or as he explains, the “Lombard International Assurance” part – says Blackstone’s strategy has been to take advantage of a growing global appreciation of the type of product the company has, over the past 25 years, perfected. “Over the last five years or so, the role of unit-linked life insurance as a valid solution to wealth management for HNWIs has become more widely understood,” he adds. “Specific to Lombard International [Assurance] is that we have been going for 25 years and are [active] in more than 20 jurisdictions. This geographical diversity is a major selling point, [as] increasingly, our clients are international [as well], with financial commitments across several jurisdictions. “So, for example, they might work in Germany and have children at school in England, or [they’re] a Swedish couple planning to retire to Portugal. They come to us because we can make sure their wealth is managed in such a way it makes sense across different countries. Given that regulations seldom decrease – and if Brexit becomes a reality, it could mean even more complex rules for pan-European financial firms to handle – Vanhoenacker says that size will matter more than ever before as time goes on. “Smaller insurance companies just can’t cope with the complexity demanded by cross-border rules,” he says. “And we have seen regulation increase more since the Solvency II rules came in. Which, as Vanhoenacker notes, is good news for the Luxembourg insurer now. “I think there will be more consolidation in our sector. Smaller players will simply not survive. We are a labour- and knowledge-intensive industry, in which it is expensive to operate. You need to be of a certain size to make money. “Obviously we keep our options open, and we are always looking for opportunities going forward. “We are not restricted globally – and I believe we will become the global number one in the HNWI sector. Vanhoenacker notes that the advantages for Lombard International Assurance of being based in the Grand Duchy of Luxembourg are more than just a fact of geography that happens to make its offices easy to get to from certain other parts of Europe. Rather, a fact well-known to many in HNWI advisory circles but less well-known elsewhere is that Luxembourg insurance law has been structured in such a way that the wealth of policyholders there is better-protected there than in many other places. What Luxembourgers call their “Triangle of Security” stipulates that policyholders’ deposits are segregated from those of the life insurer itself, while also dictating how life insurers must set up their clients’ portfolios, within the life insurance structure. Discretionary asset managers, for example, are forbidden from having a relationship with the end client, and custody of a client’s assets is held with the provider’s bank. Meantime, since 1991, Luxembourg has permitted companies based in the Grand Duchy to passport their policies into other countries. This means that plans sold from Luxembourg can fit in with different jurisdictions’ rules and regulations, making them flexible for the type of international client the company specialises in looking after. For many smaller financial services jurisdictions, last month’s Panama Papers revelations have come as a major blow, although the full extent of the fallout may not be known for years. 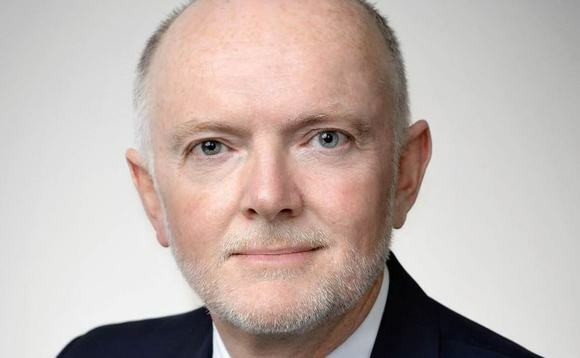 For Lombard International, Vanhoenacker believes, the unprecedented leak of more than 11.5 million documents from a Panamanian law firm, which was unveiled on 3 April by more than 100 media organisations around the world, will ultimately prove to be beneficial. The revelations showed, he says, “how important it is to deal in a transparent, compliant way”. “There are still people who think they can avoid [paying] tax, but these revelations will help dispel this,” he continues. “I think the whole Panama situation shows how people need to do things properly, in a well-regulated and transparent manner.